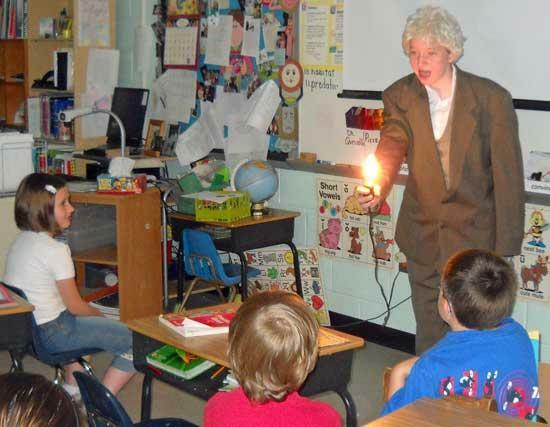 On Friday, May 13th, Mr. & Mrs. Thomas Edison visited Auburn School. Eighth grade students Chloe Fann and Ashley Barnes spoke to students in kindergarten through sixth grade about the inventions and impact that Thomas Edison had on the science community. Other famous scientists will visit Auburn School students in the coming week.